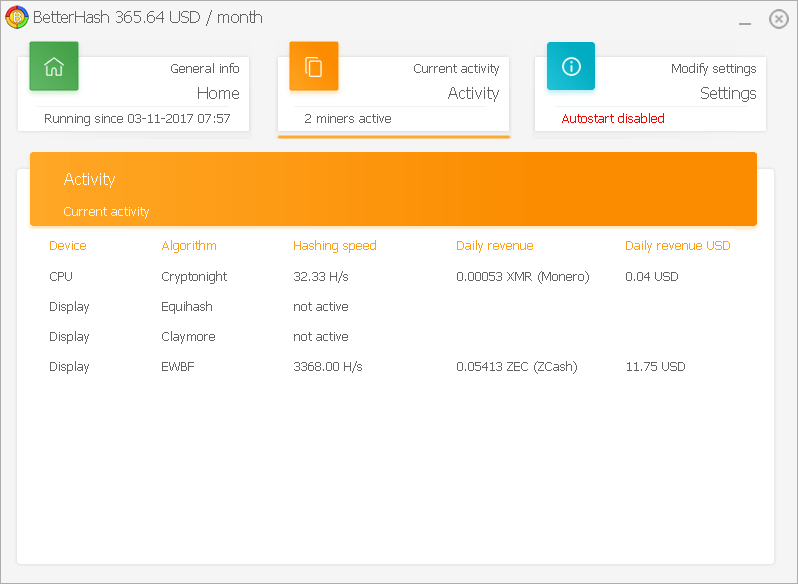 BetterHash is a cryptocurrency miner. 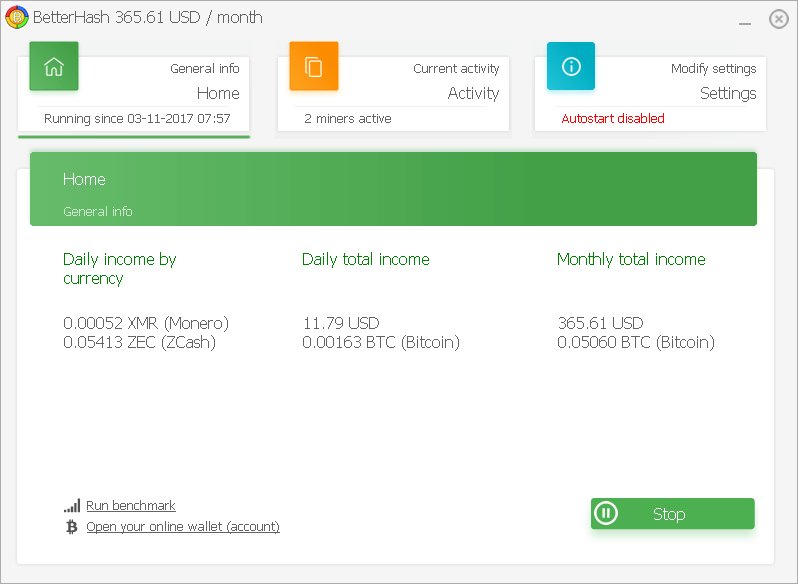 It uses the power of your PC to validate cryptocurrency transfers. You may think of it like a "virtual notary". Depending on your CPU and GPU performance, you can earn hundreds of dollars each month.